Simon Biltcliffe, CEO of Marketing and Print Agency with offices in Bicester, Barnsley and East Kilbride. Proud father of 2 daughters. Marxist-Capitalist. Currently living down South near Bicester but heart will always be in Barnsley! Recent new Trustee of Barnsley Football Club. Wythenshawe at my brother’s house! Up at 6 and at home by 6. On Tuesdays doing my DIY MBA day (reading about different business strategies whilst listening to some good tunes out of the office. No emails, phone calls or distractions.) Then out and about seeing as many people as possible, driving around in my Hyundai Ioniq, the greatest best low cost car you get and environmentally friendly too! 4. Fave Manchester band/song? Oasis – Super Sonic. 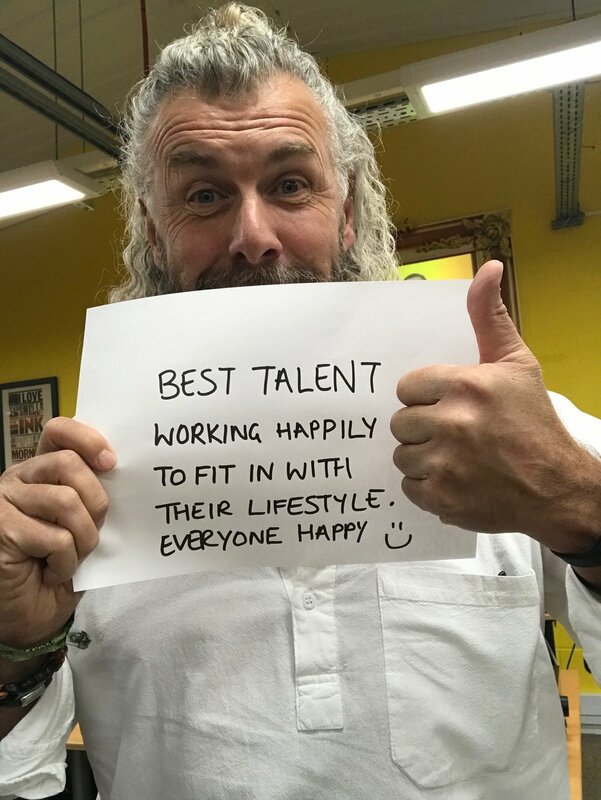 Flexible working helps us to keep our team happy. We can retain the best talent as circumstances change in their life, such as moving or starting a family. Technology allows us to stay in touch and keep them involved in the business. It’s worth us being flexible it have and keep the best team.